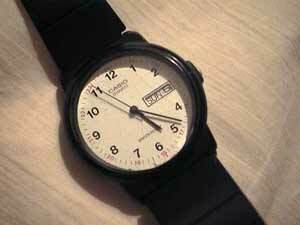 My radio alarm is set for 4:15 a.m. It came on and I laid in the dark listening to the music for some time before I realized that it was a program called Blues Before Sunrise. Why was I listening to this? It wasnt really down, down blues but still didn't seem appropriate, rousing music for Marathon Day. However, I didnt stir and continued to lay there. Then a song came on: Etta James singing At Last, a song about love entering ones life. I got up. This was actually later than most marathoners get up. I was taking the subway, the Staten Island Ferry and then a bus to get to the start so I could get to the staging area on Staten Island when it suited me. The first order of business. It may seem indelicate but this is of immense importance. With the carbo loading of the previous days, one must now get fully evacuated before toddling up to the start. It takes more than one trip. 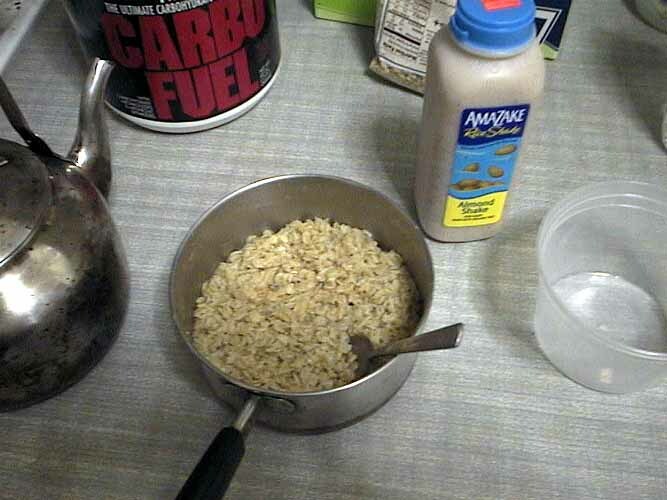 My breakfast, oatmeal, eaten out of the pot with bites taken as I scurried about the apartment donning my gear. 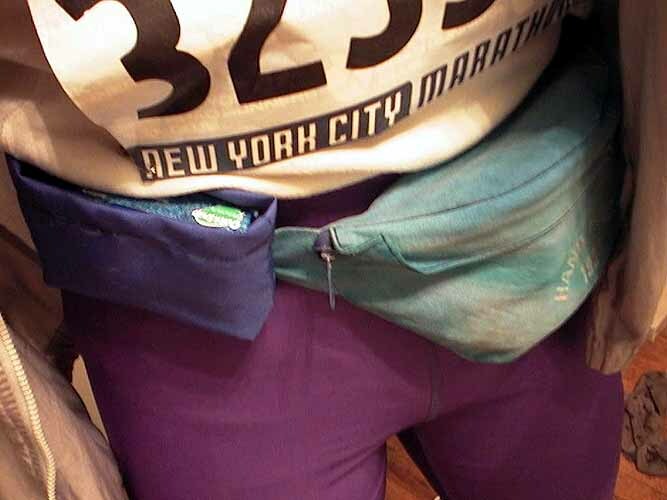 I wore a fanny pack onto which I'd sewn a pocket to contain a disposable camera. The pack itself contained a second camera and powdered energy drink. 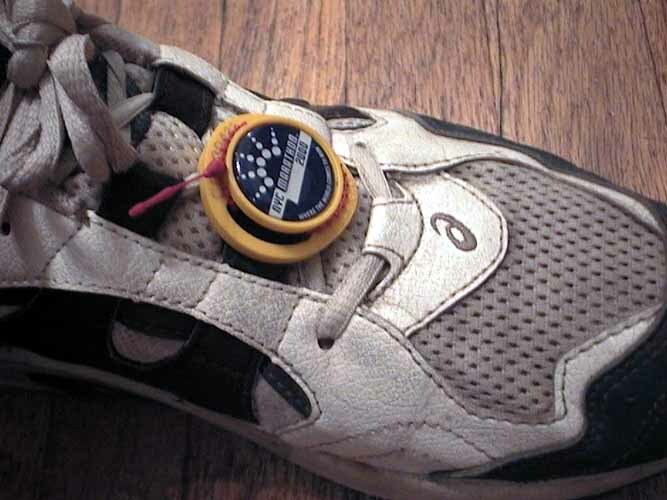 Every official runner receives a chip to attach to one shoe. The chip is sensed electronically at five different places along the course. It is now the only way ones time is recorded. One of my bosses monitored my progress live, checking from time to time during the day via the Internet. One more visit to the bathroom before I scoot out the door.